Your opinion matters. Leave A Review Or Edit This Listing for Cheboygan County Council on Aging Cheboygan Senior Center. More than 50,000 nutritionally balanced meals are provided each year to senior citizens in Cheboygan County through our senior citizen centers located in Cheboygan and Wolverine. 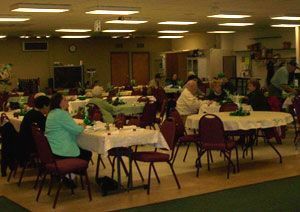 Each center provides an opportunity for seniors to socialize and participate in various programs, activities and services while enjoying a delicious meal. Meals are offered five days per week for a suggested donation. We always need more information on our pantries. If you know of any details, volunteer information, website, hours or more description information about Cheboygan County Council on Aging Cheboygan Senior Center please add a comment (below the map on this page), with information. We will then display this for all visitors on this page.